I discovered recently that I love cabbage much more than I love lettuce. 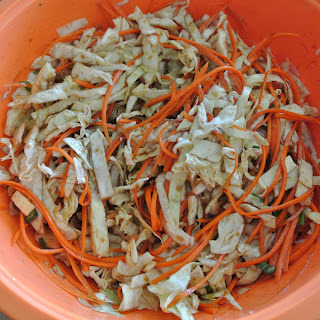 One of the things that puts cabbage over the top for me, is how it maintains it's crunch. Even after a day or two. Lettuce wilts within an hour of having the dressing on it, which makes it hard to make ahead of time. 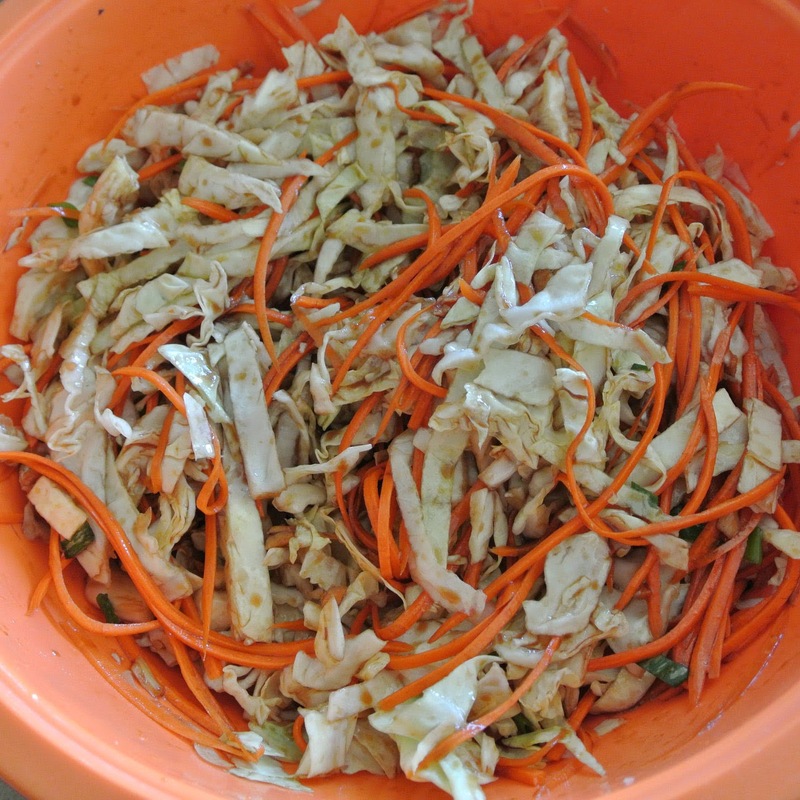 This salad is so yummy, yet it is very healthy. Perfect for our healthy lifestyle. I love that I can make it ahead of time. It is a great thing to make ahead and then pack for lunches the next day. 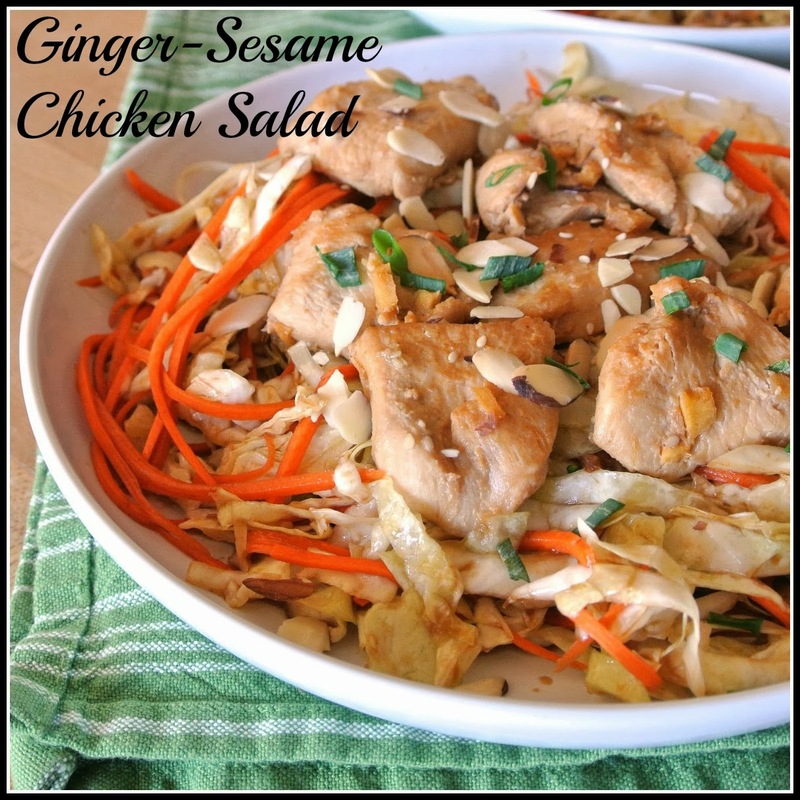 Healthy, wholesome, and easy to make. Marinade. 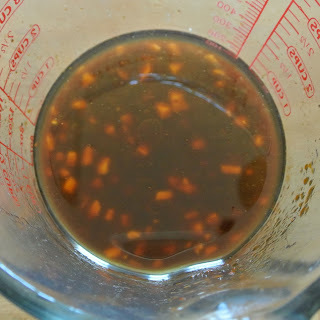 Whisk together the soy sauce, ginger, vegetable oil, hoisin sauce, sesame oil, sriracha, and salt to make the marinade. 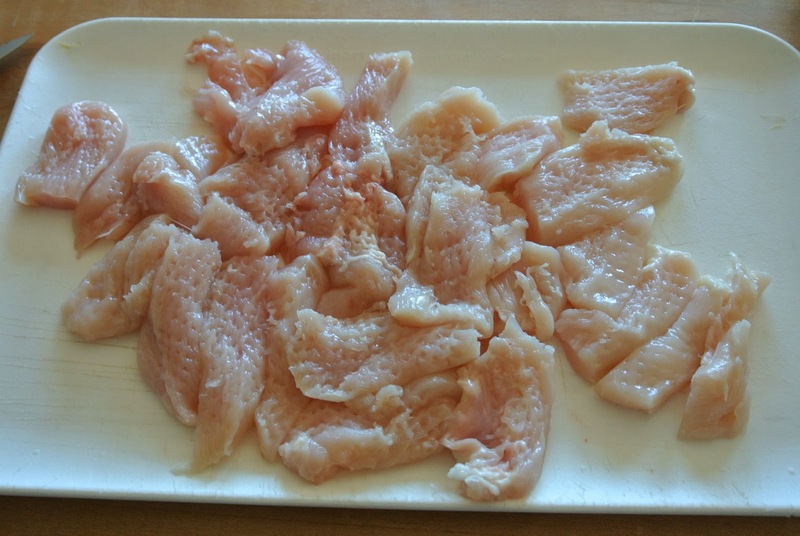 With a meat pounder, pound the breasts to a uniform thickness. 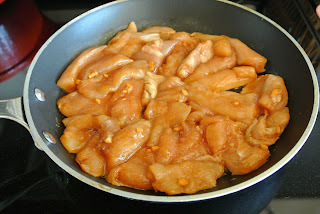 This will allow them to cook more evenly and also help tenderize the meat. 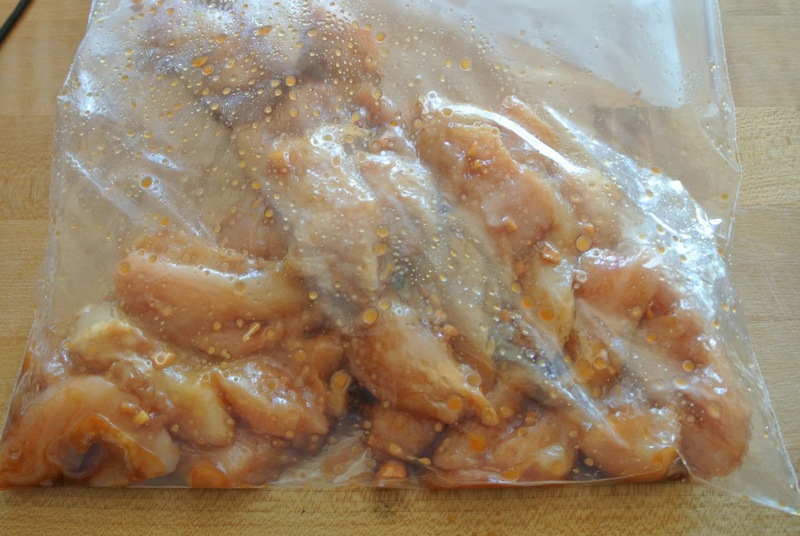 Put the two chicken breasts in a gallon sized zip-top bag and add 4 Tbsp of the marinade to the chicken. 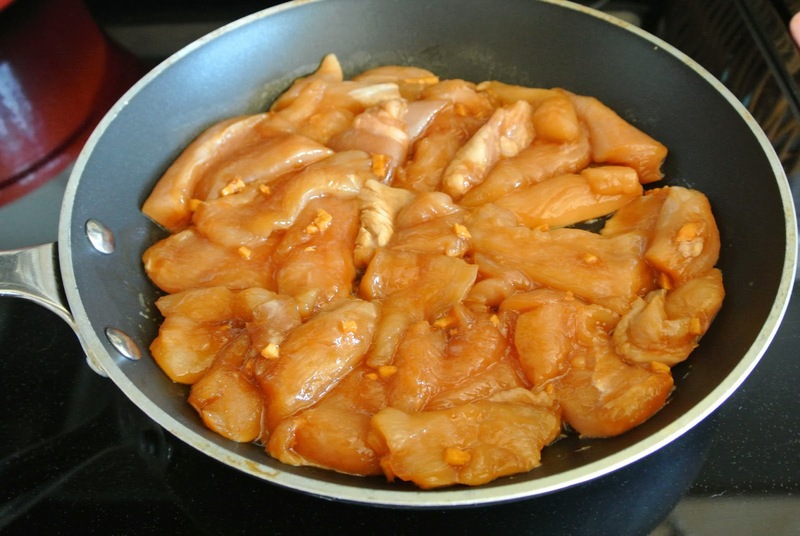 Allow the flattened chicken breasts to marinade 30 minutes. You will be using the remainder of the marinade to make the dressing. Dressing. To the reserved marinade, add in the 1/4 cup each of red wine vinegar and sliced green onions. Now we have the dressing. Cook the chicken. You can grill, bake, or pan fry. I like to pan fry with 1tbsp grapeseed oil and salt and pepper. Over medium high heat 5 minutes on first side, flip over and 4 minutes on the next. 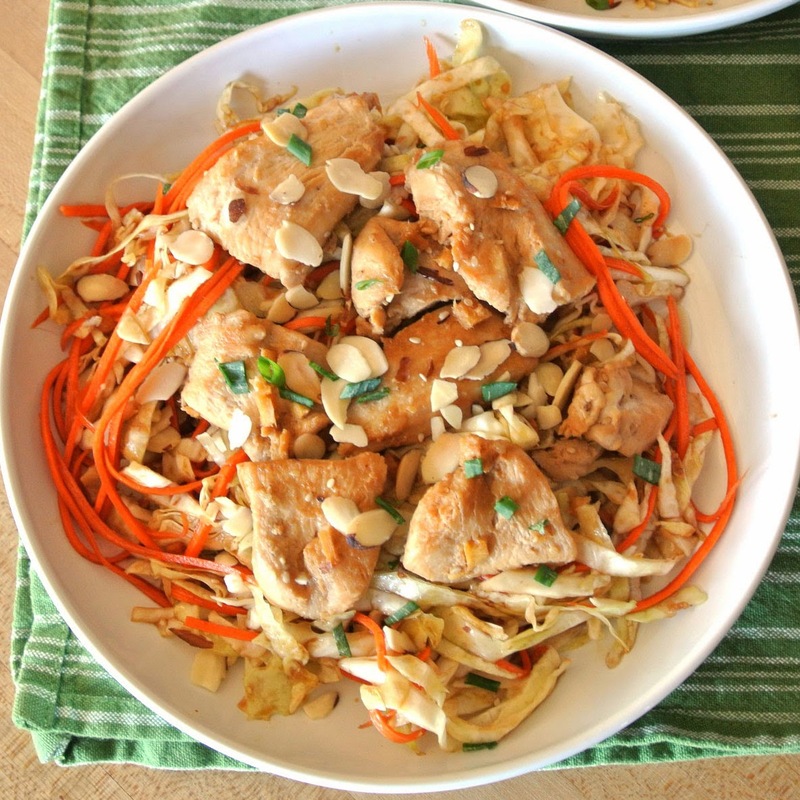 In a large bowl, add the cabbage, carrots, green onions, half of the sesame seeds, and half of the almonds. Add the chicken and mix together. Add just enough of the dressing to coat the salad lightly and toss together. Distribute salad to 4 - 6 plates. Re-whisk the dressing and drizzle a little over each salad. 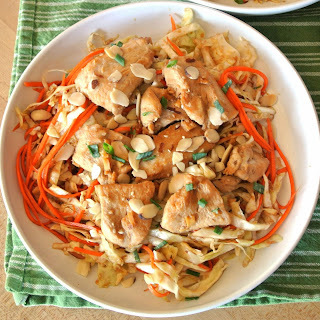 Garnish with the remaining almonds and sesame seeds on each salad.